Scott Butner, aka “The Picture Fairy,” will be taking free Halloween photos of anyone who shows up in costume. Photos are posted on Facebook and available for downloading, usually within 48 hours of the event. Broadmore Park Halloween Spooktacular from 4 p.m. – 7 p.m.
Trick-or-Treating, bounce houses, refreshments, games and prizes. 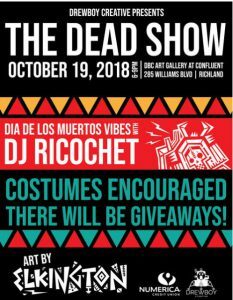 Costume contest for kids up to 12 years of age. Free and open to kids of all ages! Century 21 Backyard Monster Bash from 5 p.m. – 7 p.m. Enjoy a spook-tacular Halloween evening with your family at our FREE Backyard Monster Bash event! Kids of all ages can play a variety of games and visit booths for unique treats, candy alternatives, and prizes. Make sure to wear your costume! Please RSVP. Coldwell Banker Trick or Treat from 3 p.m. – 5 p.m.
Join us here at Coldwell Banker Tomlinson for Family Friendly indoor Trick or Treating! Stop by for candy galore and some Halloween Fun with your favorite real estate professionals. Hawk O Ween at Columbia Basin College from 3 p.m. – 5 p.m.
Inviting all ghosts and goblins, princesses, and pirates to trick-or-treat at Columbia Basin College’s Pasco campus from 3-5 p.m. on Halloween Day! CBC will provide maps of campus locations with trick-or-treat spots identified. Be sure to check out the Bechtel National Planetarium to experience the giant jack-o-lantern and photo op located outside the performing arts building along with non-treat alternatives offered at some locations including toothbrushes at the Dental Hygiene clinic. Historic Downtown Kennewick Trick, Trunk, or Treat from 3 p.m. – 5 p.m. Calling all witches, warlocks, ghouls, ghosts, and anything else that may light up the night! Miss Tri-Cities, Kennewick Police and Fire Departments, and all of our fine Downtown businesses will be handing out candy and we will also host drawings for gift baskets at the close of the event! Safe Treat Street at Columbia Park Bandshell in Kennewick from 4 p.m. – 7 p.m.
94.9 The Wolf, Eagle 106.5, Power 99.1, Shine 95.7, 106.1 MORE FM and 1340 ESPN Tri-Cities invite you to the 2018 Safe Treat Street presented by McCurley Integrity Dealerships and Gesa Credit Union. 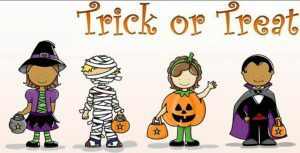 The Family Resource Center of the Tri-Cities from 3 p.m. – 7 p.m.
We will host our Annual Trick’O’Treat Event with the Historic Downtown Kennewick Event. It’s will take place at our office parking lot. Once again we will have Free Pictures, non-candy snacks, candy bags and Raffles! Uptown Richland Trick-Or-Treat from 3 p.m. – 5 p.m.
Join everyone here at the Uptown for our annual Trick-Or-Treat event from 3-5 pm! Adventures Underground will be passing out candy and a limited number of Halloween ComicFest Comics for those who were unable to make the official event on the 27th. Bethlehem Lutheran’s Trunk-Or-Treat from 5:30 p.m. – 7 p.m.
Bring the entire family to a safe and fun environment and enjoy trick-or-treating through the parking lot! All are welcome! Calvary Chapel Tri-Cities Harvest Festival from 5:30 p.m. – 7:30 p.m. Invite your friends and join us this year – always a wonderful time of ministry for our fellowship and youth to reach out and serve our community with fun games, Candy, and a Safe alternative to the usual Halloween scene. First Baptist Church of Richland Trunk or Treat 2018 from 6 p.m. – 8:30 p.m.
We’ve got a full night of family fun planned. We will have our creatively decorated trunks filled with candy along with games, a photo booth, inflatables, food vendors, and much more! Bring a non-perishable food item for an extra entry into the family giveaway basket. 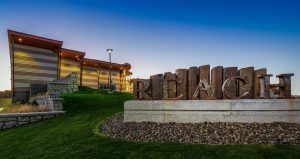 Kennewick Nazarene Church Fall Festival from 6 p.m. – 8 p.m.
Kennewick Nazarene Church hosts an annual Fall Festival on October 31st! Kids of all ages will enjoy bounce houses, carnival games, cake walk, candy, crafts, coloring contest, and more for FREE!! There will be a self service photo backdrop setup for pictures as well. Food is available for a minimum cost. Single slice of pizza $1. Add chips and soda for $1 more. 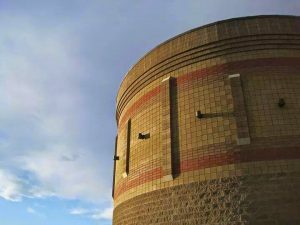 Salvation Army in Richland – starts at 6 p.m. If you are in the neighborhood (or even if you are not) stop by and see us! We will have free popcorn, Hot Chocolate, Candy and more! It’s all free! Benton City: Downtown Trick-or-Treat from 4 p.m. – 6 p.m. Put on your costume and Trick or Treat with the businesses of downtown Benton City! The Main Street (9th Street) will be closed to traffic so everyone can safely Trick or Treat. Join us for this Free Halloween Event. Prosser: Trick-or-Treat on Main Street from 3 p.m. – 5 p.m. Participating downtown businesses will be handing out candy as well as several out-of-downtown-boundary businesses offering treats in a trunk-or-treat style in the center intersection of Meade and 6th. 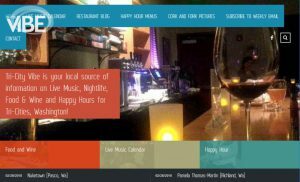 Walla Walla: Trick-or-Treat from 3 p.m. – 5 p.m. The merchants of downtown invite Walla Walla’s goblins, superheroes, firemen, and fairies (and their parents) to visit door-to-door each Halloween. Although Main Street is closed to vehicle movement, volunteers help families cross the intersection at Second & Main and assist at some stores to hand out candy. Palouse to Third, hand out candies and treats to the children in costumes. Thursday from 10 a.m. – 8 p.m.
Friday from 10 a.m.m – 6 p.m. 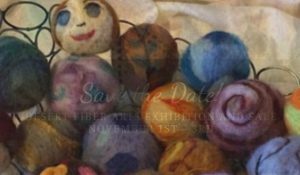 The Desert Fiber Arts Guild is moving their annual Show and Sale to an exciting new venue this fall. 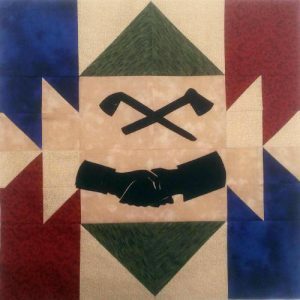 The Exhibition and Marketplace will feature beautiful handcrafted goods including shawls, wraps, scarves, mittens, caps, rugs, blankets, towels, tatted jewelry and more. Find something indulgent for yourself, or think ahead to the gift-giving season. 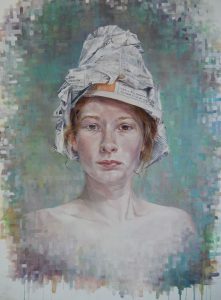 DFA artists will be on hand to demonstrate their techniques throughout the sale. Northwest Parkinson’s Foundation presents: the Art & Movement Symposium. 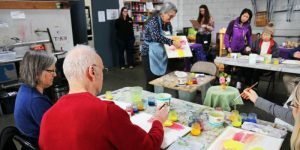 The Art & Movement Symposium is a light-hearted and fun symposium for all people impacted by Parkinson’s in the regional community. While traditional educational programming is important, we strive to offer equally valuable access to alternative therapies and experiences that improve quality of life. The Symposium focuses on not defining you by a diagnosis. Experts lead workshops that challenge and support you emotionally, cognitively, and sometimes physically, while exploring outlets that you can incorporate into your life beyond the symposium. Join us for a red-carpet screening of LA 92 to be followed by a Q&A with the film’s director, Academy Award Winner T. J. Martin. The evening will also include a poem read by Husaya Hama and music provided by hip-hop artist MistaDC. 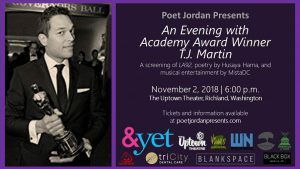 Mr. Martin is the first film director of African American descent to win an Oscar for a feature-length film—his 2011 production Undefeated, which chronicles the football team of Manassas High School in Memphis, Tennessee. His subsequent film, LA 92, showcases the neighborhoods of Los Angeles, California, just after the Rodney King verdict was announced. Violent protests, looting, and arson lasted several days and left more than 50 people dead. Twenty-five years after the 1992 verdict, Mr. Martin’s acclaimed documentary LA 92 explores the events leading to the violence, as well as the chaos and destruction that happened. Some mild language and some adult themes. 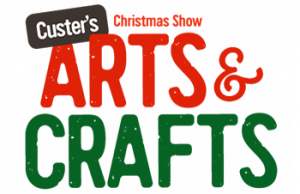 Future dates: November 9, 10, 16 & 17 at 8 p.m. and November 11 & 18 at 2 p.m.
Friday from 10 a.m. – 8 p.m.
Satruday from 10 a.m. – 6 p.m.
Custer’s 23rd Annual Christmas Arts & Crafts Show features 150 Artisans from across the Northwest displaying and selling their Fine Art, Hand Craft and Specialty Foods. 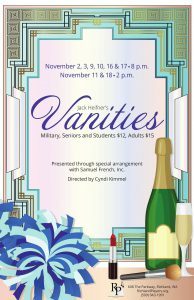 The variety and quality of work make this a must see event! Early admission: 8 a.m. – 4 p.m.
General admission: 9:30 a.m. – 4 p.m.
A measurable amount of curated vintage and antique goods for the gathering. 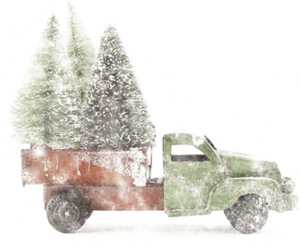 Vendors will delight you with vintage, antiques, architectural salvage, industrial, chippy goodness and holiday embellishments all in a festive setting of the historic Pavilion. Grab a bestie and enjoy Junque Jingles’ annual kickoff of the season. 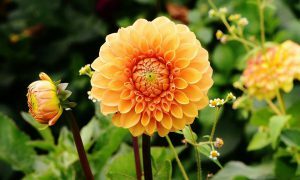 Learn how to dig, divide, and store those precious dahlia tubers for planting next spring. Get hands on experience identifying tuber bud eyes! 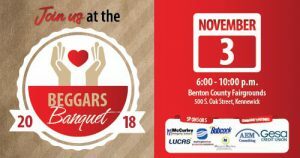 Safe Harbor Support Center will be hosting Beggars’ Banquet, our annual fundraiser, on November 3, 2018 at the Benton/Franklin Fairgrounds. 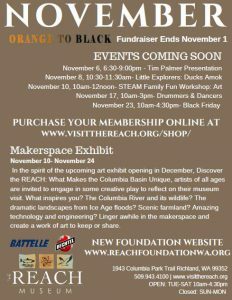 As part of this event we will be holding silent and live auctions, including the Tiny Tree Auction, vacation packages and experiences, and the much coveted Soup Tasting Contest. Fill up on soup or the yummy slider and cake! Starts at 7 p.m., doors open at 5:30 p.m. 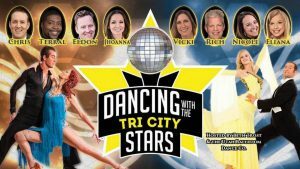 Seven local celebrities will put on their dancing shoes for the annual Dancing with the Tri-City Stars. The local stars will be paired with professional dancers from the Utah Ballroom Dance Company. Those pro dancers will also be featured in a showcase during the event. This year’s lineup includes: Nicole Anderson, vice principal of Richland High School; Vicki Haines of Atomic Dermatology; Eliana Sheriff, news anchor for KEPR-TV; Jhonna Jones, CEO at Options Commercial Mortgage; Rich Breshears of Breshears Professional Photography; Eldon Monson of Monson Wealth Management; and Terral Russell, realtor with John L. Scott Realty, Tri-Cities. From 10 a.m. 5 p.m. 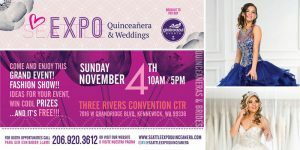 The Seattle Expo Quinceañera is the largest Quinceañera Expo in Washington State and has expanded to the Tri-Cities. This one-day expo brings together the best companies, from party planners to catering to just about everything you need to plan your Quince, Sweet Sixteen or Wedding – all under one roof. 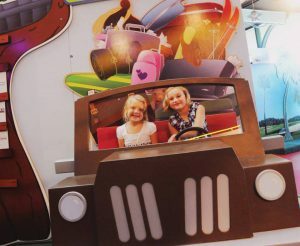 It’s sure to entertain with its feature fashions shows and raffles throughout the day for the whole family to enjoy. 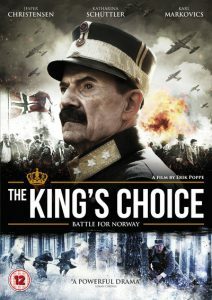 This biographical war films deals with the difficult choices facing Norwegian King Haakon VII in the face of German invasion on April 9th, 1940. Over a 3-day period, the King is faced with an ultimatum: surrender or die. Nazi soldiers pursue the Royal Family as they flee the capital in different directions. Unlike his Danish brother, King Christian of Denmark, King Haakon refuses to capitulate to German forces and faces the consequences of his decision. Finding Neverland tells the incredible story behind one of the world’s most beloved characters: Peter Pan. Playwright J.M. 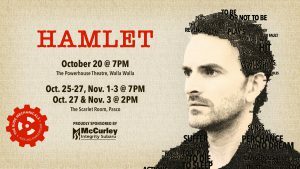 Barrie struggles to find inspiration until he meets four young brothers and their beautiful widowed mother. Spellbound by the boys’ enchanting make-believe adventures, he sets out to write a play that will astound London theatergoers. With a little bit of pixie dust and a lot of faith, Barrie takes this monumental leap, leaving his old world behind for Neverland, where nothing is impossible and the wonder of childhood lasts forever. The magic of Barrie’s classic tale springs spectacularly to life in this heartwarming theatrical event. Welcome to “Operation Cash-For-Candy” – it’s our way to fight the war on Halloween candy overload – and tooth cavities! It’s also a great way to say thanks to the brave men and women serving our country. 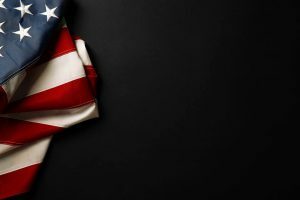 Select Tri-City healthcare offices and businesses will “buy back” your children’s uneaten, wrapped “leftover” Halloween candy and send it to our military troops through “Operation Thank You”, a local non-profit organization. When you and your child drop off their ‘extra’ candy, they will get $1 for each pound of candy they donate. They can choose to keep the money or donate it back to help Operation Thank You to help pay for shipping the candy to the soldiers. Plus – they will also be registered to win other cool prizes. Each business office has their own drop-off days and times – usually during the first week of November: http://www.operationcashforcandy.com/dropOffLocations.php. – November 2: Secret Lives of Stars at 7 p.m. and Oasis In Space at 8 p.m.
– November 3: Dynamic Earth at 2 p.m. and Black Holes: the Other Side of Infinity at 3 p.m.